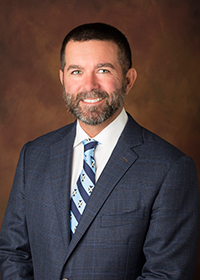 Mr. Bolen has 20 years of civil engineering experience in West Palm Beach with the firm, Simmons & White, Inc. As a Vice President of the firm, his extensive experience includes all aspects of land development and civil engineering projects for both public and private clients. His areas of expertise include: Preparation of site feasibility reports, conceptual engineering plans for the concurrency, rezoning and site plan approval process to providing assistance during the platting process and the preparation of paving, grading, drainage, water distribution and wastewater collection plans, calculations, specifications and permit applications, assistance during the bidding process including preparing contract documents, services during construction necessary to certify work to owner and governing agencies upon completion for projects. Mr. Bolen has managed and supervised many projects from inception through completion, working with all involved parties - clients, elected officials, regulatory agencies, attorneys, funding agencies, subconsultants, construction contractors, and the public.